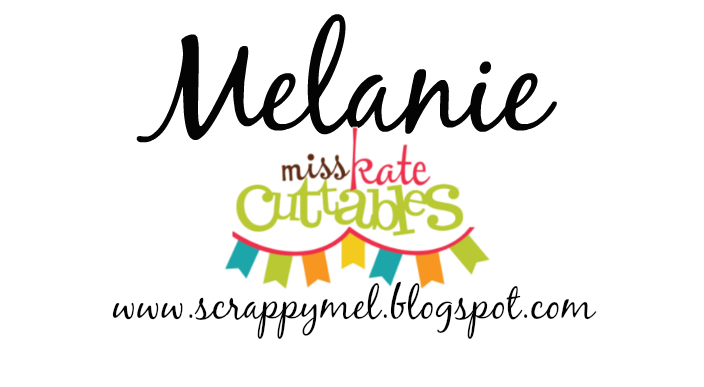 Remember to stop by and grab your Miss Kate Cuttables Freebie of the Day! Hello everyone! 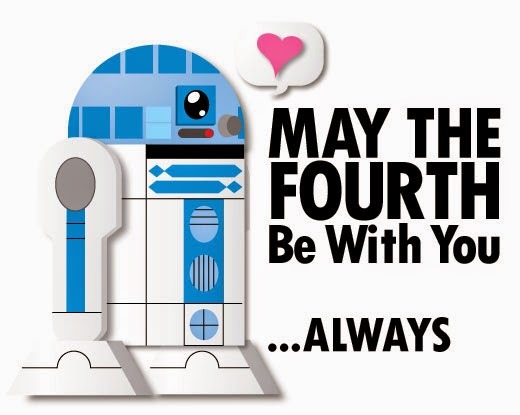 I hope you all had a WONDERFUL Memorial Day! 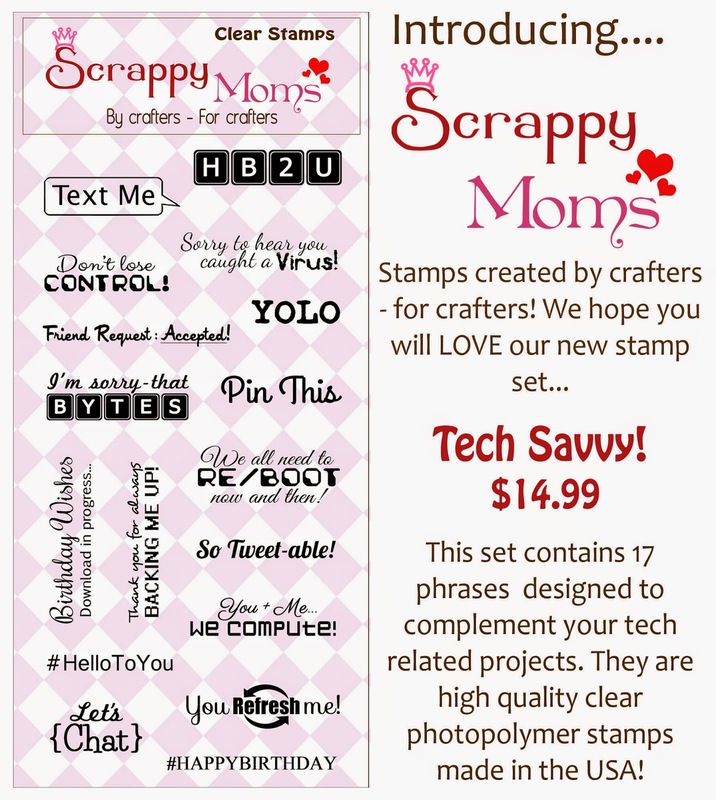 Be sure to visit all of the Scrappy Moms Stamps DT, included our May Guest Designer - Melissa from Moe Creations, all this week for new projects using these new sets. I hope you enjoyed my project - thank you so much for stopping by! 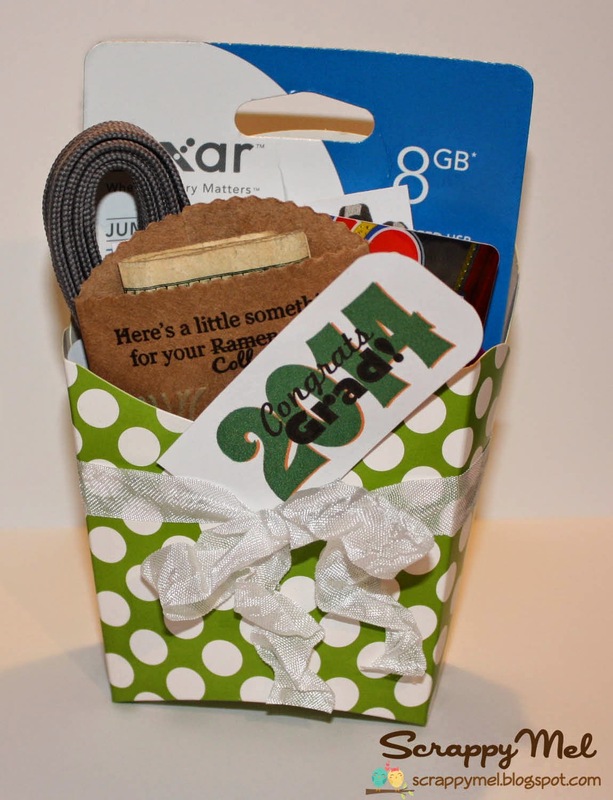 I put together a little gift for graduation - I figured every college student needs a flash drive to store homework one. As a rule, we like to have lanyards for our flash drives to help keep them from getting lost or misplaced. I also put in a few gift cards to for treats (Sonic) and necessities (Target). Of course the main gift is cash - and I altered this little envelope to hold it. First, I embossed the lower part and inked it in one of the grad's school colors. Then I stamped a sentiment from our new Countless Occasions stamp set. I also printed "2014" on cardstock and stamped a sentiment on top from SMS Fun Celebrations set on it to make a tag. A bow made from white crinkle ribbon finishes the project. 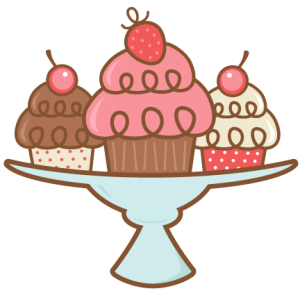 Terrific Tuesday Challenge - Summer, Here We Come! 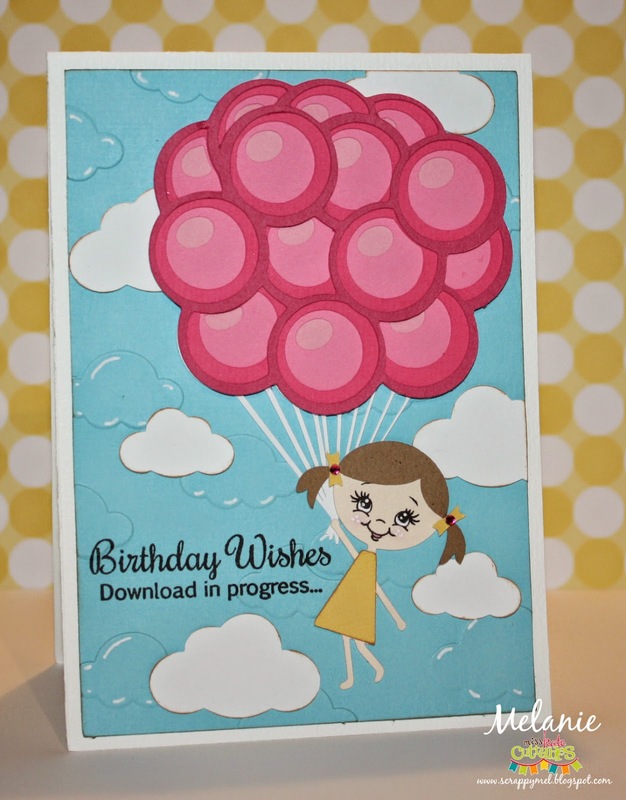 This week's challenge is a summer theme so I decided to use the Freebie of the Day for Monday from Miss Kate Cuttables - this cute little octopus! 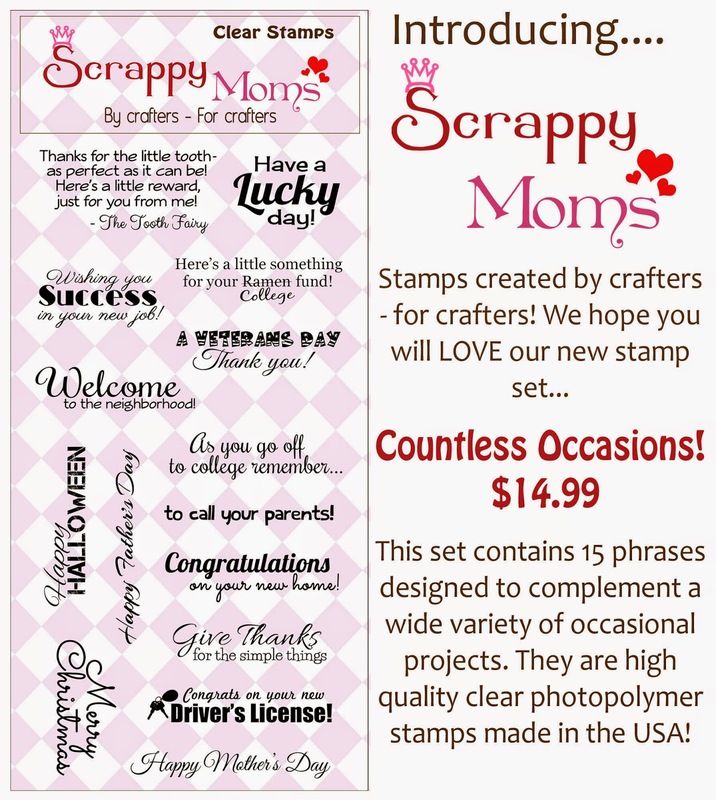 Please come link up your summer project for a chance to win a Scrappy Moms Stamps set of your choice. Out on a Limb and Xyron Co-hop! 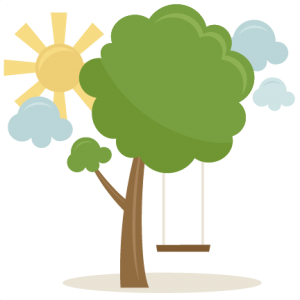 Thank you for joining me for my project for the Out On a Limb and Xyron Co-Op! 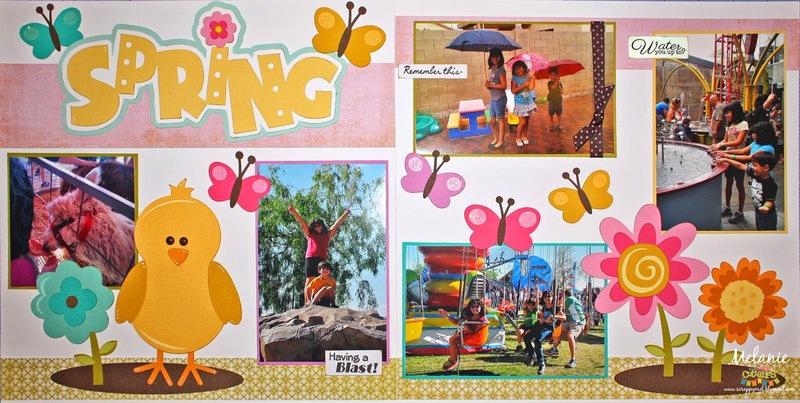 Out On a Limb is the Sister company to Miss Kate Cuttables and offers amazing pre-cut scrapbook layout pages. 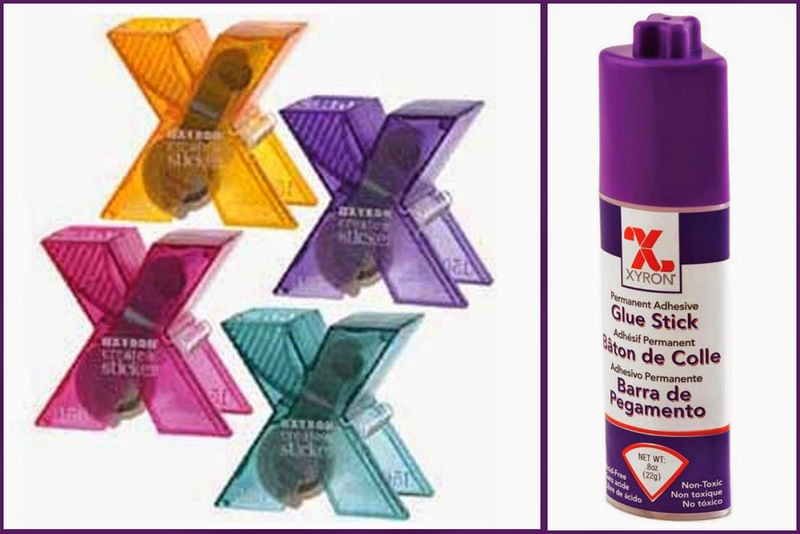 Xyron makes the adhesive products that helps you put it all together! 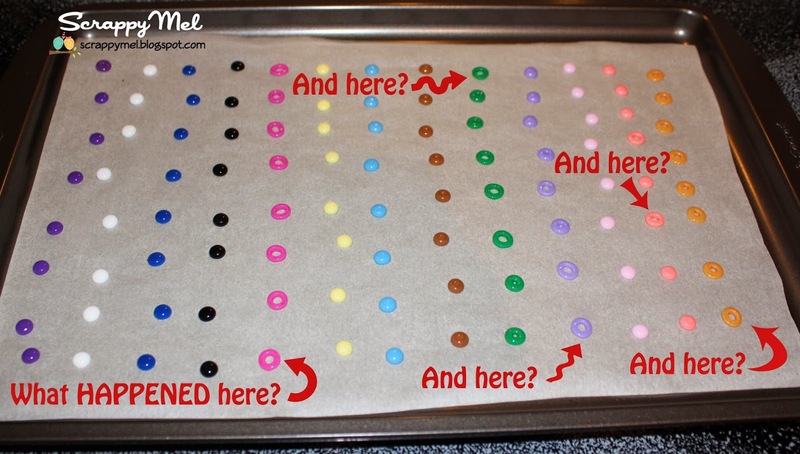 Before I show you my project remember to go and get your freebie of the day! Now onto the project... I was lucky enough to get to use this adorable spring layout! 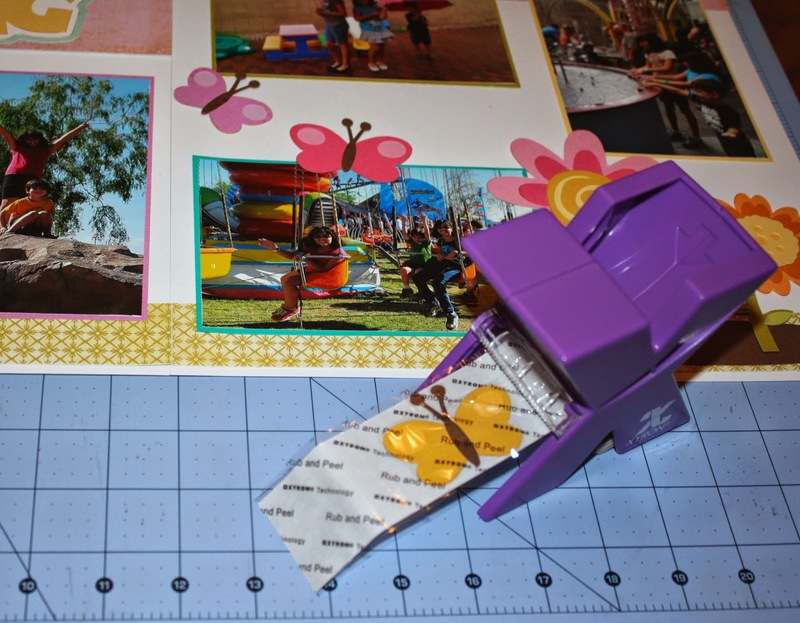 Every thing is provided for you in the kit - you only need to add the photo to have a darling layout. I did add a few little embellishments... 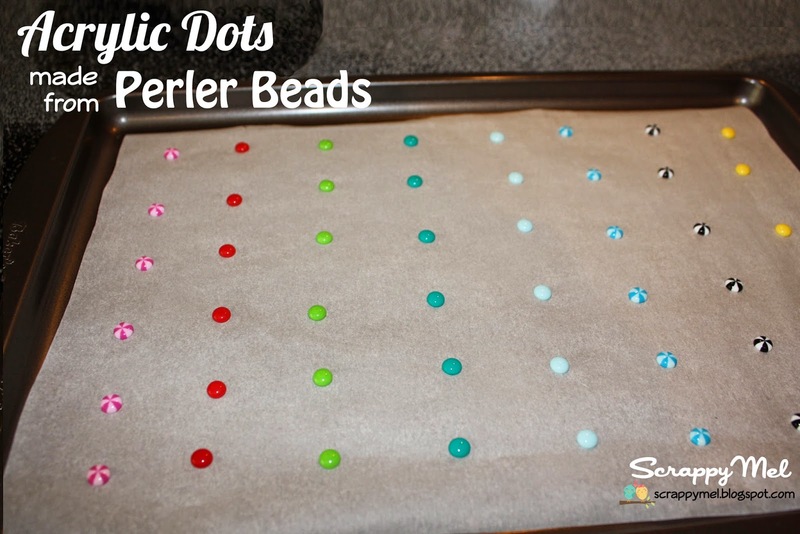 I use some of the Perler bead acrylic dots that I made for the little chickie's eyes. I also added some Diamond Stickles to the flowers and butterflies and the sentiment stamps from Scrappy Moms Stamps. I used the Xyron Sticker Maker and Glue Stick for my project. 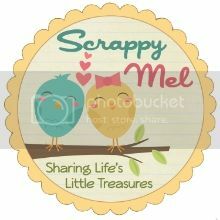 I love the Sticker Maker - it makes adhering those little embellishments so easy! 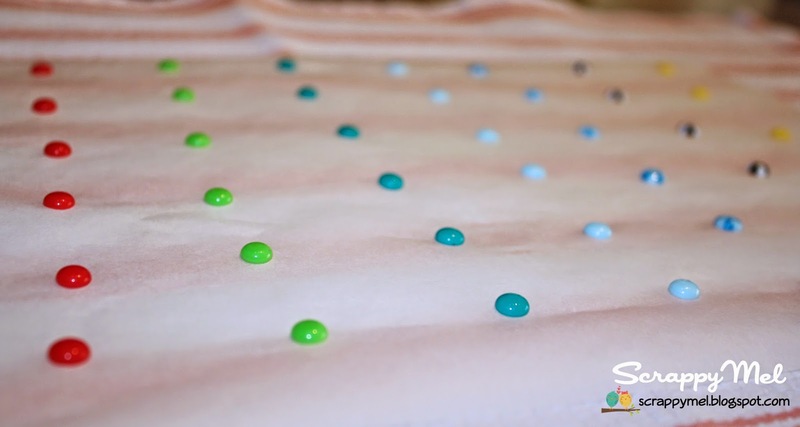 There is blog candy for each day for this entire week - head over to the Miss Kate Cuttables blog to see which amazing designers will be showing off their creations. Go to each of their blogs and comment on their post and follow their blog. Go back to Miss Kate Cuttables and leave a comment and you'll be entered to win a prize from Out on a Limb and Xyron. For an extra chance to win, head over and like the Out on a Limb Facebook page. 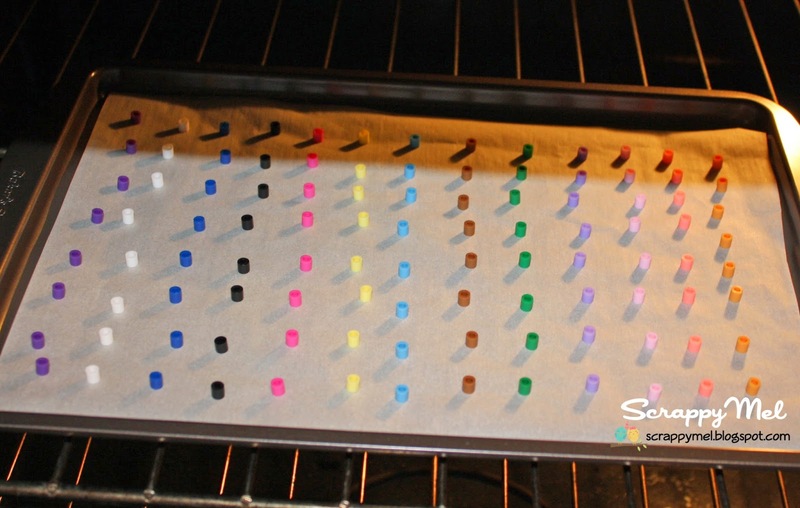 Here is a close up to show how perfect and shiny they are! Well... let's just say my 2nd batch was not as successful as my 1st one. I hope you enjoyed my quick little tutorial, I'd love to hear how it turned out if you give it a try. 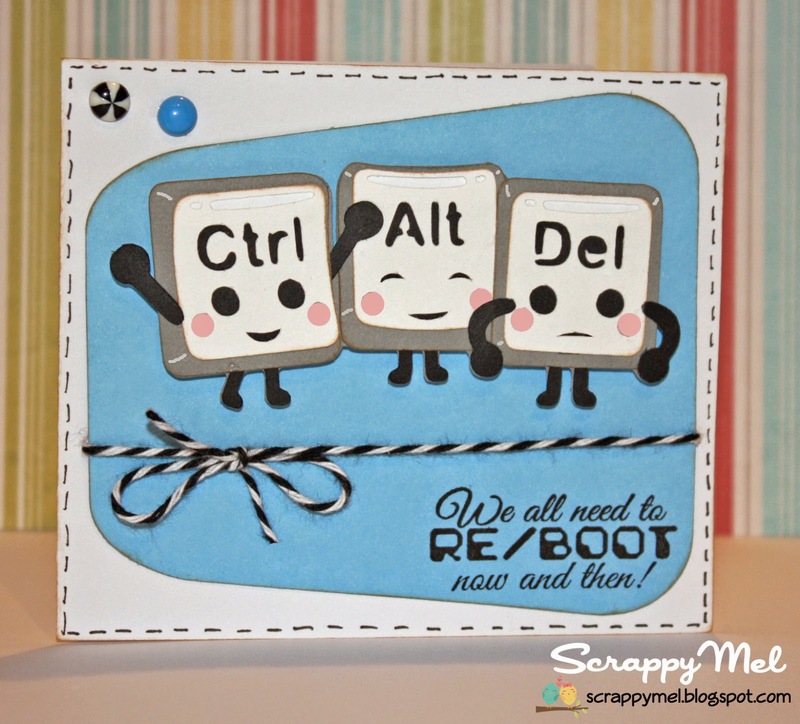 I decided to make a different size card than usual - this one measures - 2.75" x 5.5", it's tall and skinny! I use the flower and stem from MKC Flower file and cut 2 petal layers to make it a little fuller. I also make the center circle just a little bigger so the I could stamp a Peachy Keen In The Garden face.Then I "planted" it in the pot from MCK Sunflower in pot file. 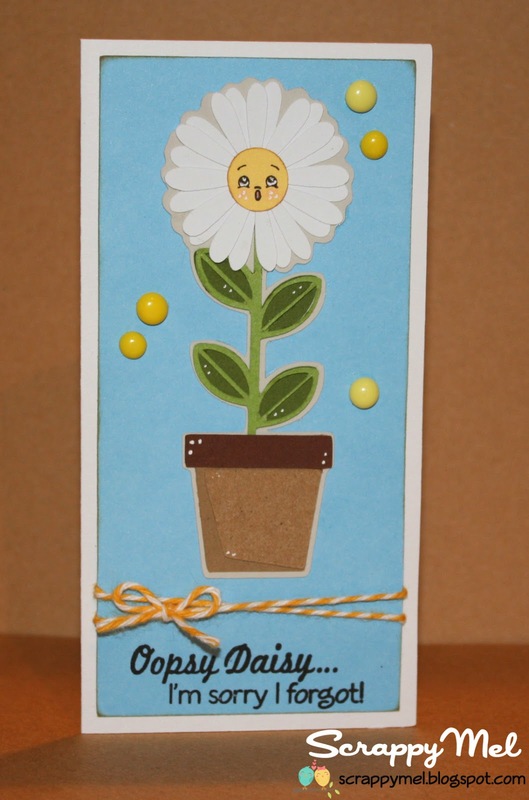 I hope that you will come play along and link up your flower project for a chance to win a Scrappy Moms Stamps set of your choice. We named all the food - kind of corny but so much fun! 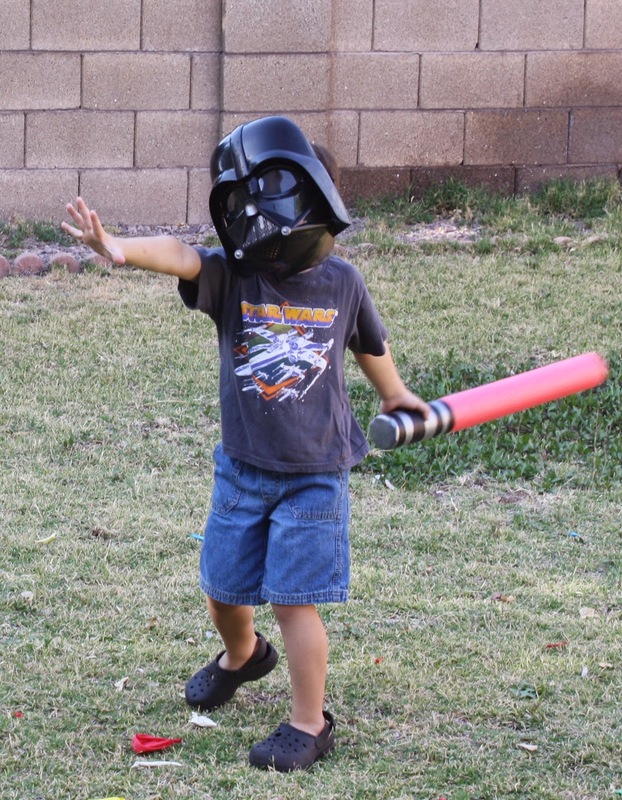 And finally one of my favorite pictures of my son doing his best Darth Vader impression with the pool noodle light sabers we made for all the kiddos!